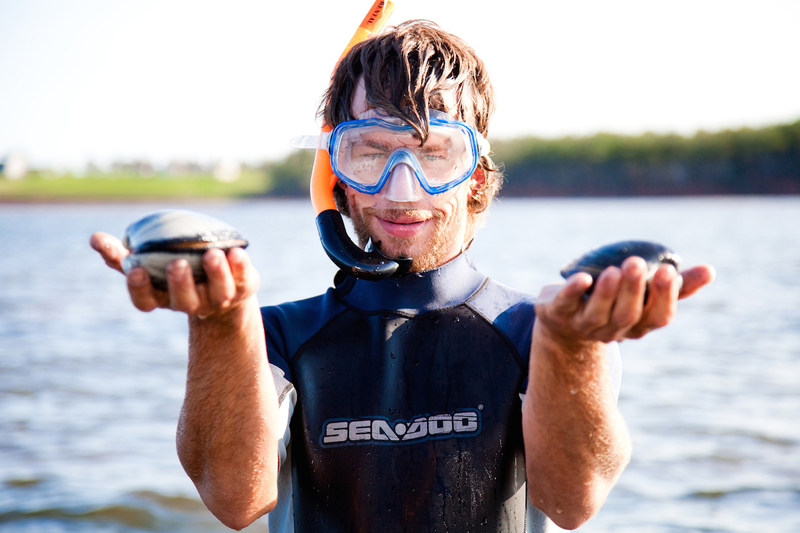 A snorkeler shows his clam catch. 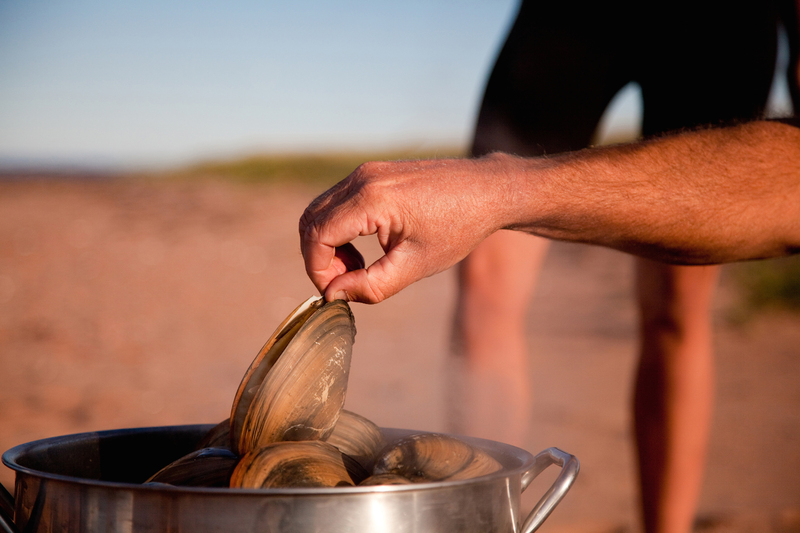 People forage for clams on Prince Edward Island. The freshest clams on earth. Dine on the freshest seafood while feasting on the most gorgeous views. Picture this: on a perfect summer’s day on Prince Edward Island, you push off from Fisherman’s Wharf at historic Georgetown aboard one of Tranquility Cove Adventures’ sturdy deep-sea fishing vessels. 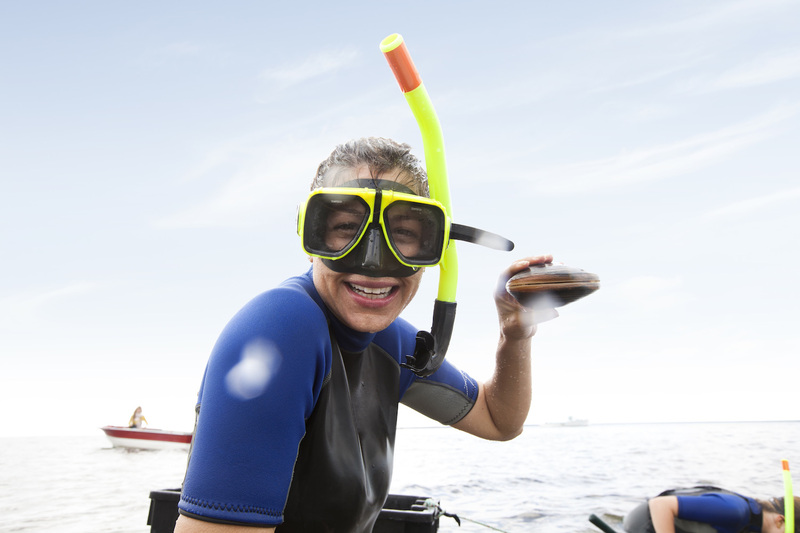 First stop, a tiny deserted island where you’re handed a clam rake and invited into chest-deep water to dig for giant clams, a local delicacy famed throughout the region and beyond. Once you’ve snagged enough of the fist-sized beauties, it’s back to shore for a traditional clambake, where your catch is steamed and served right there on the beach. Then it’s off to explore your surrounds – including a visit to the island’s most-photographed lighthouse, and maybe spotting a sunbathing harbour seal or two. 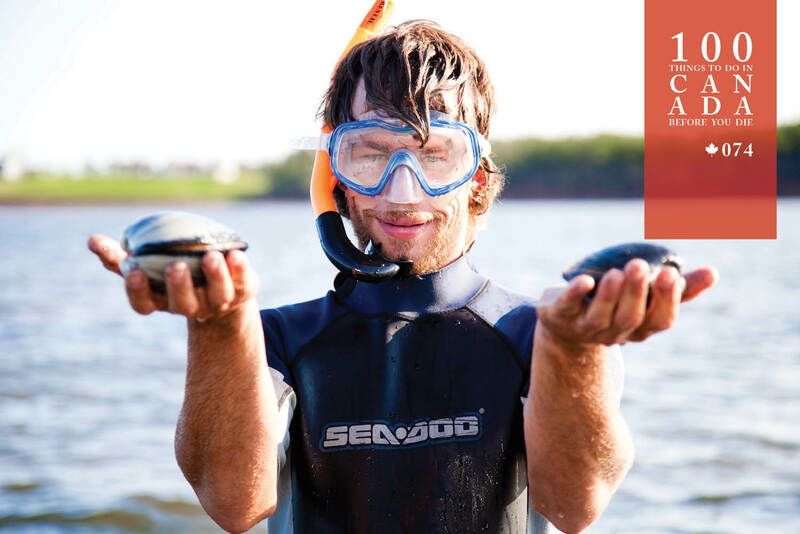 It’s one of the purest pleasures to be found on any adventurous holiday – and if you can time your visit for the three-day PEI Shellfish Festival each September (basically the Woodstock of clam, lobster and mussel aficionados), you’re in for a treat, with chowder chowdowns, oyster shucking contests, celebrity chef cook-offs and more. Bring a bib and prepare to tuck in! 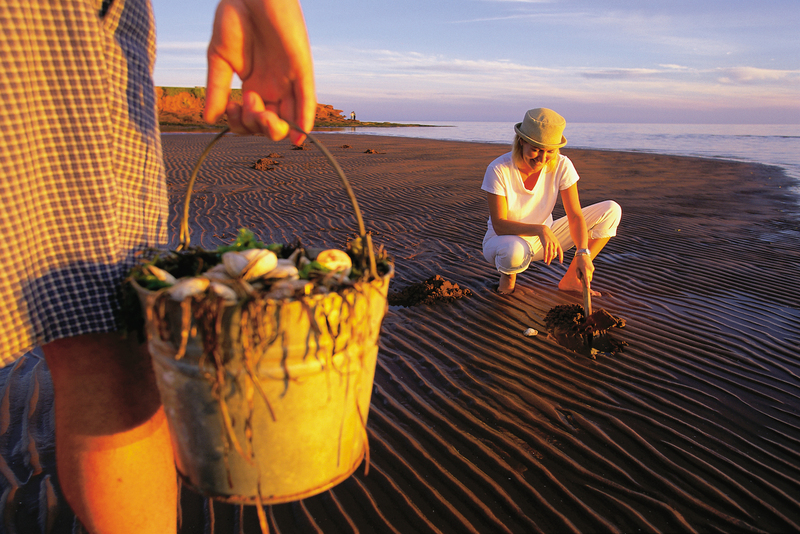 Join a Tranquility Cove Adventures Giant Bar Clam Dig (tcapei.com) from June to September via an Insight Vacations’ Landscapes of the Canadian Maritimes tour. More details here. Tranquility Cove Adventures operates from Fisherman’s Wharf, located at No. 1 Kent Street, Georgetown, on the Georgetown Peninsula, Prince Edward Island.